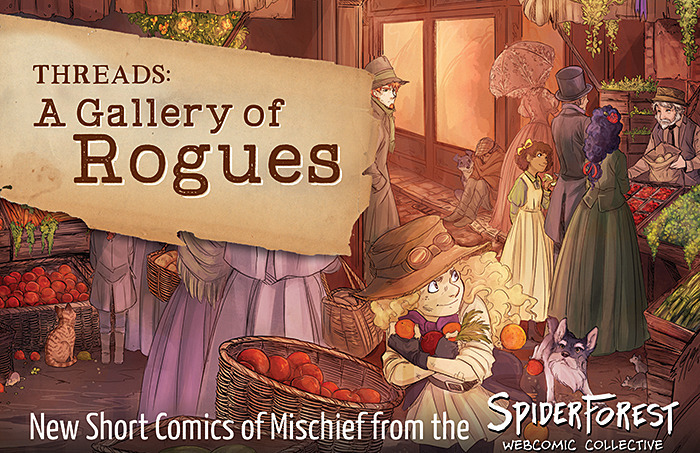 in other other news... spiderforest is running a kickstarter for a comic anthology! it's a collection of comics based on those loveable scamps, the rogues :'D organized and filled with wonderful original works from my fellow collective mates. please consider backing it! !